These are a hit in the family and my mom is the biggest fan. Mom is quite selective with her food and there are a few of my “creations” that she really love and would keep asking for repeats. One of the things that is right on top of her list would be these Vietnamese spring rolls. My first Vietnamese rolls was a take-away from a restaurant and I loved it. It was $2.50 per roll and I thought that was overpriced for a such a tiny roll! When mom bought a packet of rice paper, I was obviously thrilled! Well, being me, I procrastinate as usual till we were watching some TV program on Food Network last night and it was featuring these rolls. Mom had to remind me of the packet of rice paper that was sitting pretty in the pantry. Yes of course. 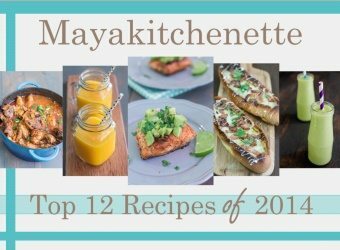 I searched for the recipe. By searching, obviously I meant google for it. Google makes my life so much easier. How many times have I googled the spelling for words like hackneyed, ostentatious etc. And yes, finding recipes via uncle google is a must on a daily basis despite the 10054655 cookbooks I have. So back to these babies. They are so so good. I can eat this for breakfast, lunch, dinner and whenever. Even mom who has a xxxs appetite ate six of these. It was that good! The sauce was awesome! The saltiness from the hoisin sauce, the richness of the peanut butter and tang of the lime juice… pure magic. The filling itself is very versatile. You can basically use anything. I used lettuce, shredded carrots, shredded leek, cilantro, mint, seared chicken, omelet and prawns. 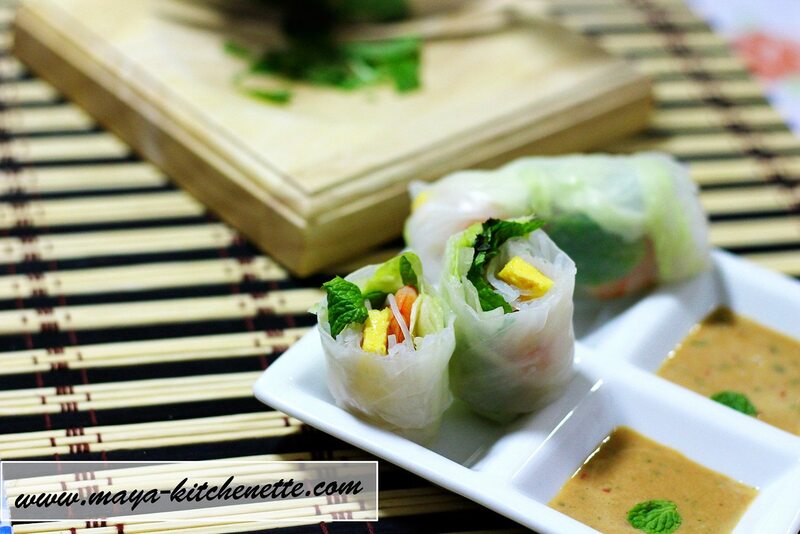 If you love Vietnamese rolls, do give this recipe a try. I insist. 150g Chicken fillets - cut into strips and season sprinkle with some salt and pepper before searing/pan frying. 1 small bundle of glass noodles - Soak in hot water. Add a fat pinch of salt into the hot water. Combine all ingredients in a medium mixing bowl. Stir until well combined, adding more water to thin the sauce if necessary. Garnish with chopped peanuts before serving. Dip one rice paper wrapper into warm water. Cold water works too, however it is faster, if we use warm water. Shake off excess water. 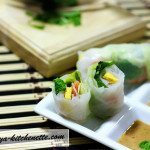 Place a slice of chicken, prawn, omelette strip, glass noodles and all the vegetable and herbs in the center of rice paper and wrap like a spring roll. The bird eye chili is only necessary if you prefer your sauce to be hot. It would still taste incredible without it!